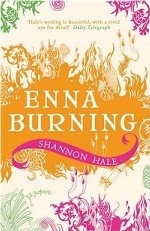 Аннотация к книге "Enna Burning"
Enna and Princess Ani became fast friends in The Goose Girl, but now that Ani is married to Prince Geric, Enna returns to the forest. Then Enna`s simple life changes for ever when she learns of her power to wield fire. Enna is convinced that she can use her ability for good to fight Tira, the kingdom threatening the Bayern borders. But the power of the fire grows stronger and she is soon barely able to control it. Enna becomes more and more reckless and is captured by the Tiran army. A handsome and manipulative young captain drugs and holds Enna prisoner until Ani and her old friends Finn, and Razo attempt to free her. But has the desire to burn already gone too far?